Founded in 1977 to cultivate artistic talent using electronic technologies, Harvestworks' mission is to encourage the creation and expand the dissemination of digital media artwork. From its central SOHO, New York City, location Harvestworks provides accessible and coordinated digital media production, education, information and content distribution services to a diverse creative community that includes electronic music composers, interactive media designers, film and video makers, digital tool developers and computer programmers. 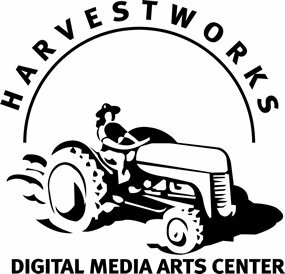 By bringing together innovative practitioners from all branches of the digital arts, Harvestworks provides a vital context and catalyst for creativity in the digital arts. Harvestworks consistently has developed a large base of artists through our programs such as Artist In Residencies, Certificate and other studies, courses, festivals, symposia and other events, and by creating solutions for artists with technology-based projects. We make relationships with the artists that can last for several years as we assist in the development of their work and as they network and present work to our local community of artists. Having worked with Max for twenty years, today Harvestworks offers a wide range of courses and individual training in Max/MSP, M4L, Jitter, Ableton Live, Supercollider and many other software packages, as well as hardware/sensor based devices. Courses range from basic three-hour classes to full-week, forty-hour intensive courses. In addition to introductory courses for absolute beginners, we offer advanced topics such as FFT, granular synthesis, seeing and hearing data, and many others. Harvestworks also offers one-on-one tutorials in all areas of Max or interactive technology. The Certificate Program offers a more comprehensive training for artists interested in learning by creating their own work. It requires students to take one-on-one tutorials according to an individually designed curriculum. The Certificate includes project supervision, unlimited lab-time in our computer lab, support by our Assistant Teachers as well as a presentation of the final project at Harvestworks. A student may enroll in the program at any time.